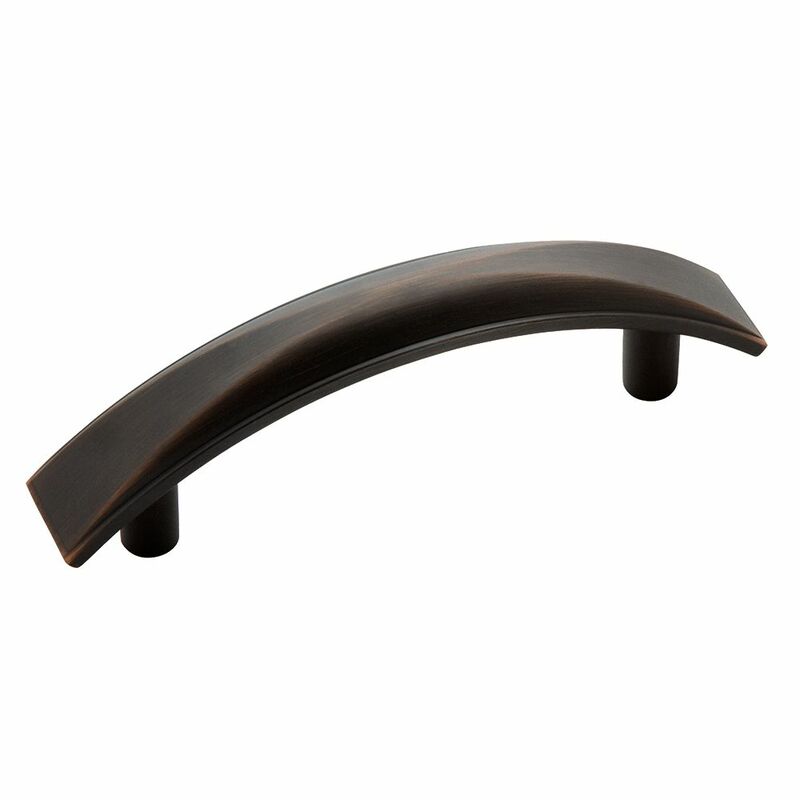 The Amerock BP29379ORB Extensity 3in(76mm) CTC Pull is finished in Oil-Rubbed Bronze. Extensity features beveled curves and a stately arc. The Oil-Rubbed Bronze finish is a rich, dark brown old world finish with striking light and dark accents. The Amerock BP40519ORB Bar Pulls 10-1/16in(256mm) CTC Pull is finished in Oil-Rubbed Bronze. Modern functionality meets straightforward styling. Simple. Bold. True. The sleek and sophisticated design of the Bar Pulls Collection makes a statement with clean lines and smooth textures. The Oil-Rubbed Bronze finish is a rich, dark brown old world finish with striking light and dark accents. The Amerock BP19014ORB Bar Pulls 12-5/8in(320mm) CTC Pull is finished in Oil-Rubbed Bronze. Modern functionality meets straightforward styling. Simple. Bold. True. The sleek and sophisticated design of the Bar Pulls Collection makes a statement with clean lines and smooth textures. The Oil-Rubbed Bronze finish is a rich, dark brown old world finish with striking light and dark accents. Extensity 3 Inch (76mm) CTC Pull - Oil-Rubbed Bronze The Amerock BP29379ORB Extensity 3in(76mm) CTC Pull is finished in Oil-Rubbed Bronze. Extensity features beveled curves and a stately arc. The Oil-Rubbed Bronze finish is a rich, dark brown old world finish with striking light and dark accents.